Dear #EarthDay, #God Created the Earth…not #MotherNature. ‘Mother Nature’ proves the agenda of usurping God…or else why choose ‘MOTHER Nature’ rather than ‘FATHER Nature’? ‘Earth Day’ is a grand scheme to kill the Creator and replace Him with a Pagan woman, “Can a woman forget her nursing child, and not have compassion on the son of her womb? Surely they may forget, yet I will not forget you,” [Isaiah 49:15]. Today is ‘Earth Day’. Pagans have set aside a day to worship the earth and call it a holiday that is now worldwide in its effort to ‘save the planet’. I wonder if they know that God doesn’t need their help. God created the Earth – God is in control, not ‘Mother Nature’. 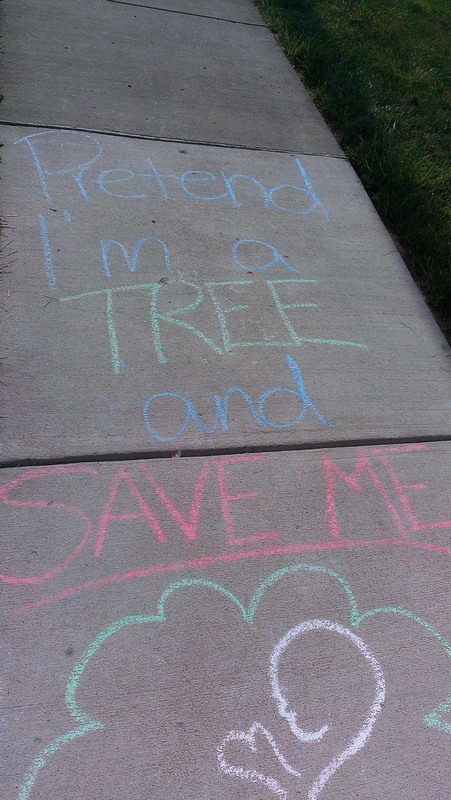 Tree huggers cry over the rainforest while 4000 unborn babies die EVERY DAY. How can you love the earth but hate the creation? They protect the environment but not human life. They ‘save’ that which has no soul while destroying what has a soul and spirit. I suppose their less than acceptable argument is that humans ruined the earth but what they do not realize is that the earth was put under OUR subjection, WITH proper stewardship BY God. God never intended for us to destroy His Creation made in His image! But here we are blessing the earth while murdering the unborn. IRONY: These self imposed environmentalists LOVE the earth and HATE God…who created it….for them….and deny Him. All that being said, children in school today will not learn WHO created the earth. Our society has been pushing this agenda on our children since prayer was taken out of schools in the 60’s. How can you honor the creation but not the Creator? This is exactly why ‘creation’ [intelligent design] is not taught in public school – to honor the creation you must have a Creator rather than a random cataclysmic event that eventually evolved into complex human persons and it’s ecological makeup. While as children, we were taught to look to THE Creator for all things made, they would understand the sanctity of human life and that abortion is a man-made concept to act AS God. We have to teach our children about God and His Creation rather than expecting them to find out on their own. Certainly they will not learn about Him in public schools. We need to lead our homes in the things of God. Protect your children and grandchildren WITH the true knowledge of God rather than an agenda to save a planet that has 60+ MILLION less inhabitants. Happy God Made Earth Day! Previous postRock, Paper, Scissors: Abortion trumps Sovereignty? Next postSIDEWALK CHRONICLES: Offended? Then SHOW UP.